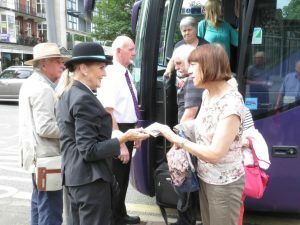 Southport has been shortlisted as the UK’s most ‘Coach Friendly Destination’ in the British Coach Tourism Awards 2019 (BCTA) – just two years after winning the same award. The BCTA recognises excellence across destinations, visitor attractions, coach operators and tourism suppliers. The award for ‘Coach Friendly Destination’ recognises the way a town, city or region has enhanced the welcome it gives to coaches, coach groups and coach drivers. This year Southport faces stiff competition from Bournemouth & Poole, Burnham-On-Sea, Newmarket and Wells. Cllr Marion Atkinson, Sefton Council’s Labour Cabinet Member for Regeneration and Skills, said: “In 2017 we saw off competition from across the country to win this prestigious award and since then we haven’t been resting on our laurels. “In 2018 we launched ‘Southport Pick ‘n’ Mix’, a new product for groups that offers a selection of inspirational ideas for a 4-night group-friendly itinerary based in the town. The product was very well received by tour operators and group travel organisers. The winners of the BCTA 2019 will be announced on March 20. First year Hugh Baird students studying Digital Imaging and Photography will be exhibiting their recent works at a special pop-up exhibit in Bootle Strand Shopping Centre. Ahead of the show, each student was allocated a grid on a map of Bootle and were tasked with capturing the very best emotive images from that area. The objectives of the project were to look beyond the more traditional views of Bootle and creatively respond to the space they have been assigned. Their finalised works will be on show at the shopping centre from February 26 to March 2, at which point it will then begin touring across a number of libraries throughout Sefton. 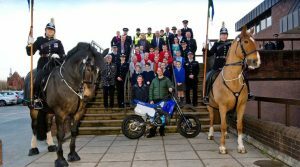 Sefton schoolchildren have been rewarded for their involvement in an anti-scrambler bike education project during the Autumn term of 2018. Early in 2018, Year 5 pupils at the schools received education on the dangers of off-road bikes and impact they cause in their communities. Assemblies have been given to each of the primary schools from Merseyside Police, Sefton Council Anti-Social Behaviour Unit and Alder Hey Hospital. Once the pupils returned to school to begin their Year 6 studies, they each designed and filmed a 90-second video. They also took part in activities including an activity day at Crosby Lakeside Adventure Centre and the re-enactment of a crash involving a scrambler bike at Croxteth Community Fire Station. The 16 winners of the video competition were presented their certificates by Rachel Brown-Finnis, BT Sports analyst and former Liverpool, Everton and England goalkeeper and Ian Snodin, broadcaster, pundit and former Everton midfielder, before the grand unveiling of the top-secret children’s prize, a ski trip to Scotland. “We know scrambler bikes are a blight on our communities and through this initiative we want to make sure important messages about the risks and dangers of using them are learnt. 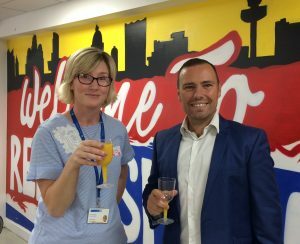 InvestSefton, Sefton Council’s enterprise, business support and inward investment service, continues to support local enterprises and has engaged with more than 2,200 individual businesses. InvestSefton is one of the Liverpool City Region growth hubs working alongside the Local Enterprise Partnership, other local authorities, Chambers of Commerce and The Women’s Organisation. It is part of current UK Government funded activities delivered locally by Local Enterprise Partnerships. InvestSefton is also about to confirm the second phase of its European funded initiative-the Business Growth Programme which has already assisted over 255 businesses including 45 new enterprises in the borough. Sefton residents and entrepreneurs seeking to start their own business have a managed referral to the Enterprise Hub which sits alongside the ERDF Business Growth Programme and provides a range of 1:1 and mentoring support. Some 140 start ups have been referred to the Enterprise Hub for further support and InvestSefton has begun to supplement this work through the introduction of business clinics held every Tuesday at The Atkinson, Southport. 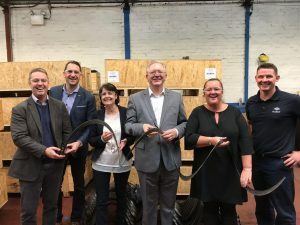 InvestSefton also supports the offer of subsidised commercial assistance through New Markets with 54 referrals into this Liverpool City Region wide programme. The team works closely with the Council’s Sefton@work service which helps support Sefton residents into new employment opportunities arising from business growth and new inward investment in the borough. Businesses are supported in a variety of ways from expert 1:1 advice and guidance from the team’s nationally accredited Advisers to demand led events and workshops. Cllr Marion Atkinson, Sefton Council’s Cabinet Member for Economic Growth and Housing, said: “We are very proud of all the excellent work in helping and supporting local businesses through InvestSefton and Sefton@Work. “Our mantra is very much about being open for business and the fact so many enterprises are contacting us for help and assistance is testament to this. For more information on the wide range of services available via InvestSefton please visit www.investsefton.com, email info@investsefton.com or call 0151 934 3452. Detectives are appealing for information following the robbery of a bike from a teenage boy in Southport in January. At 3.45pm on Wednesday 30 January, a 14-year-old boy was cycling through Southport Cemetery on Duke Street when he was approached by an unknown person who punched him and forced him from the bike, before stealing it. The suspect is described as wearing dark clothing with a hood up. Enquiries are ongoing. The bike is a Cannondale mountain bike with a sprayed black frame and yellow shock absorber. Since the image was taken, the handlebars are now gold in colour, and the seat is now black and gold. Detective Inspector Yoseph Al-Ramadhan said: “For a young teenager to be threatened and assaulted in broad daylight and have his property stolen is absolutely appalling and I’m sure people within the local community share our disgust and outrage. “Did you see this incident or have any CCTV or dashcam footage of the suspect making off? 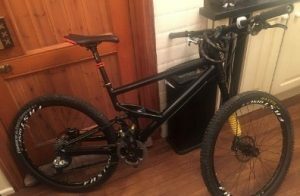 Have you been offered or seen for sale a similar Cannondale mountain bike in recent days, or seen anyone riding it in the area? Anyone with information is asked to contact the social media desk @MerPolCC, call 101 with reference 19100030365 or the independent charity @CrimestoppersUK anonymously, on 0800 555 111. You can also use their online form at: https://crimestoppers-uk.org/give-information/give-information.